Every day we spend some time running around on dry land. For us our time out of the ocean is just one long surface interval. That’s how deep our passion runs for scuba diving in Cozumel and for the ocean. That being the case we want to help you find some of the Best Things to do in Cozumel when you are not underwater with us. September is here now and it’s a special month for us down here in Cozumel and all of Mexico for that matter. So today we will discuss a few things that you can look forward to during your time in Cozumel this month! September in Cozumel is Patriot Month! for the event. You will definitely get to see something tourists coming on the cruise ships will miss. Don´t expect anything to be less exciting the following day on the Mexican Independence Day on the 16th. 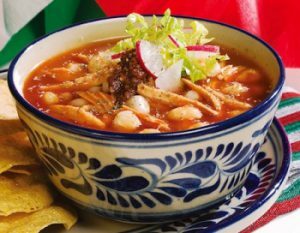 During Patriot month you will be able to find delicious Traditional Mexican dishes much easier like Pozole, Agua de Jamaica, Horchata and Limeade, Mole and more. These are just some of the dishes you can find all of which I believe, everyone must try. Fall is definitely a month for races! 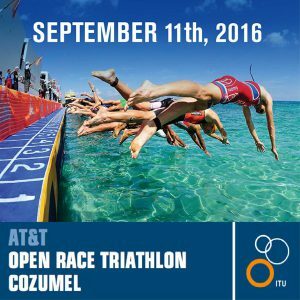 For many that don’t know Cozumel has become one of favorite destinations to host the Ironman Competition each year. Now September is not when the Ironman race is held in Cozumel there are still plenty of races going on from now until Nov. Next week Sunday September 11th 2016, is the annunal Cozumel Triathlon and many Athletes come from all over to participate in this triathlon in preparation for the Ironman in Cozumel in Nov. Also Oct 2, 2016 is the Ironman 70.3 competition so if you enjoy races or want to participate it is a great time to come to Cozumel and watch all the action. So after review those are just a few of the things to do in Cozumel this month during your long surface intervals between your Scuba diving in Cozumel with us. There are still plenty of other things to do in Cozumel this month as well such as the Feast of Saint Michael the Archangel and the Fall Equinox and so forth. Later on this month we will give you more information and history about the Mexican Independence day and so forth. So with that keep It real amigos and don’t worry your surface interval will have to end sometime. When it does we know that you will be diving in Cozumel us so until then take care.